The Bloomberg newsroom is making a concerted effort to include more women and diverse sources in its coverage. 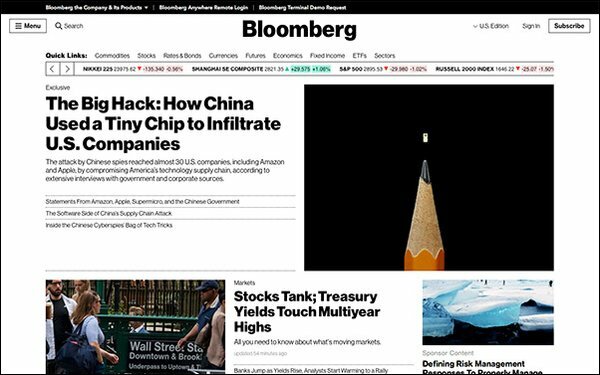 Spearheaded by Laura Zelenko, senior executive editor for diversity, talent, standards and training at Bloomberg News, the initiative focuses on increasing the number of women it taps as sources, quotes in stories, features on Bloomberg TV and Bloomberg radio and includes in its live events. Zelenko and Bloomberg L.P. chairman Peter Grauer recently launched the New Voices initiative in Hong Kong, following similar launches in New York, London and Toronto. The program provides one-on-one media training for 12 top women executives in finance and business in all four cities. The 48 women are assisted by local trainers from communications and PR firm Burson Cohn & Wolfe to prepare them for TV interviews on Bloomberg and other outlets. “Globally, media cites women as sources on front pages about 20% of the time; those we cite in stories often determines whom we call for on-air interviews,” Zelenko wrote. Since launching the initiative earlier this year, Bloomberg claims to have already made improvements in its inclusion of women. In the first quarter of 2018, women represented about 2% of sources quoted or cited in Bloomberg stories running on its front pages. In the most recent month of tracking, they now represent 6.2%, and Bloomberg is increasing the number 9.5% a week. In the first quarter of this year, women represented 10% of the total number of external guests interviewed on Bloomberg TV. They now represent 15%. Bloomberg’s short-term goal is to get that number up to 30%. Bloomberg claims it has increased its global database of women experts from 500 names at the start of this year to more than 2,300. Women represented 28% of the total number of Bloomberg journalists it interviewed on Bloomberg TV in Q1. They now represent 34%. Its short-term goal is to reach 50%. The percentage of women panelists at “Bloomberg Live” events has also nearly doubled from 19% in 2017 to 32% in 2018. It is by no means equal representation, but it is a strong start. Zelenko added that Bloomberg’s publishing tool now allows editors to tag stories that quote women. “Not only does this enable us to count these stories, our newsroom can reference them to find relevant sources for guests on Bloomberg Television or Bloomberg radio, but also for panels at our Bloomberg Live events,” she wrote. A new policy has also been enacted: Bloomberg journalists can only join panels with gender diversity. “We’re proactively trying to address the challenge of promoting more expert women commentators, and ultimately, other diverse voices as well," Zelenko wrote. The BBC has a 50-50 initiative to push for gender equality among on-air guests on every one of its programs, and The Financial Times has an initiative to engage with more female readers, she noted.